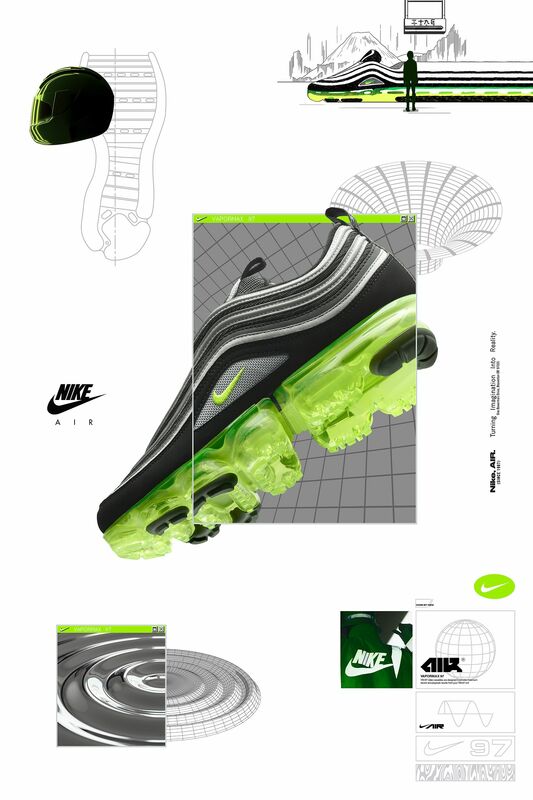 The Nike Air VaporMax 97 combines two of the most iconic representations of full-length Air from the past and present. 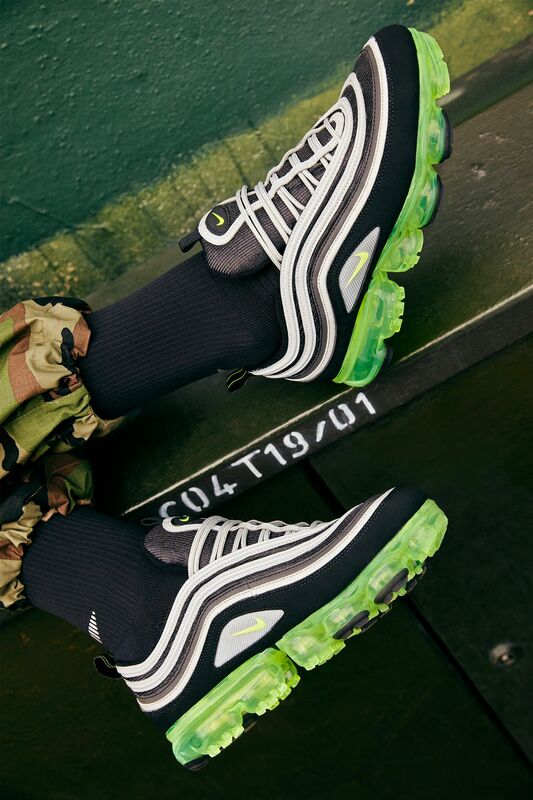 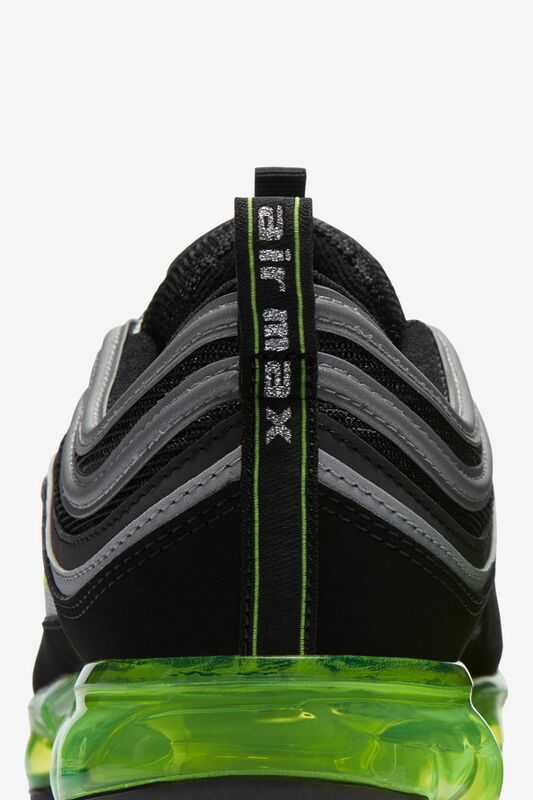 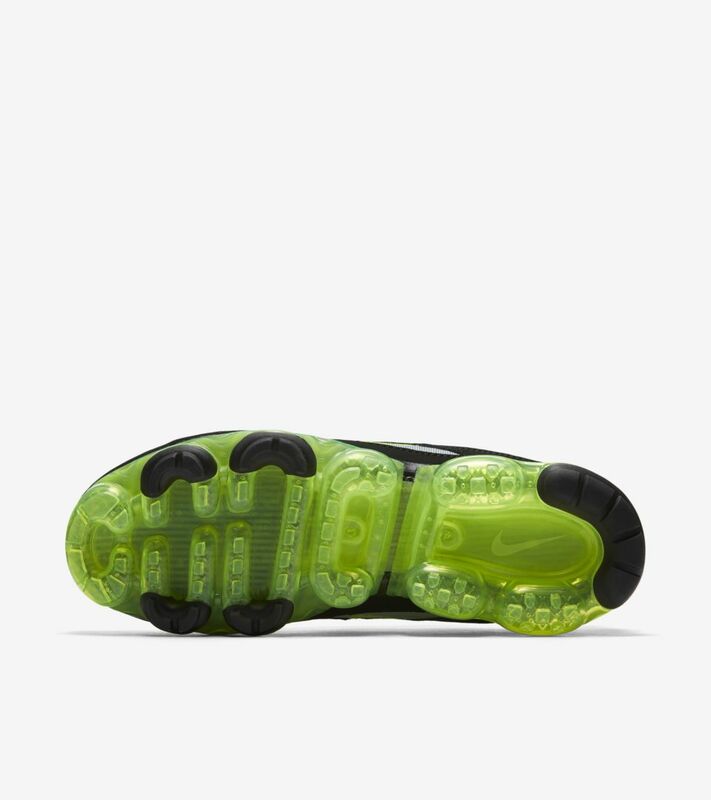 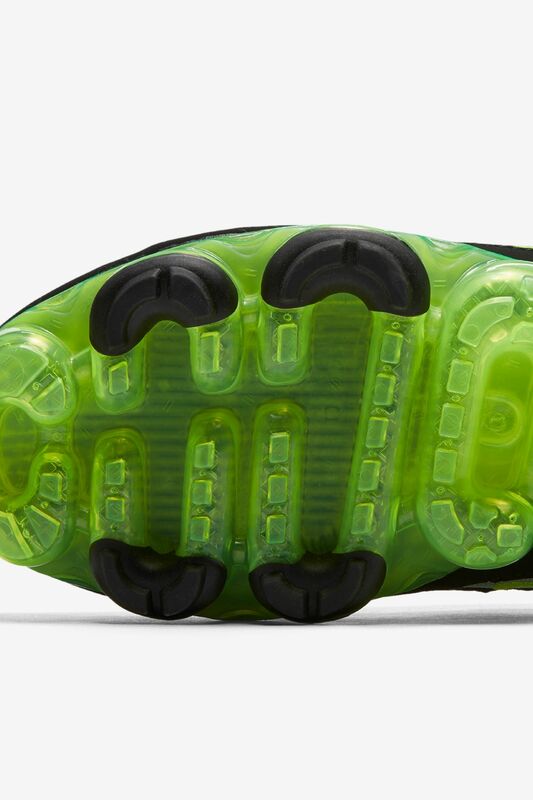 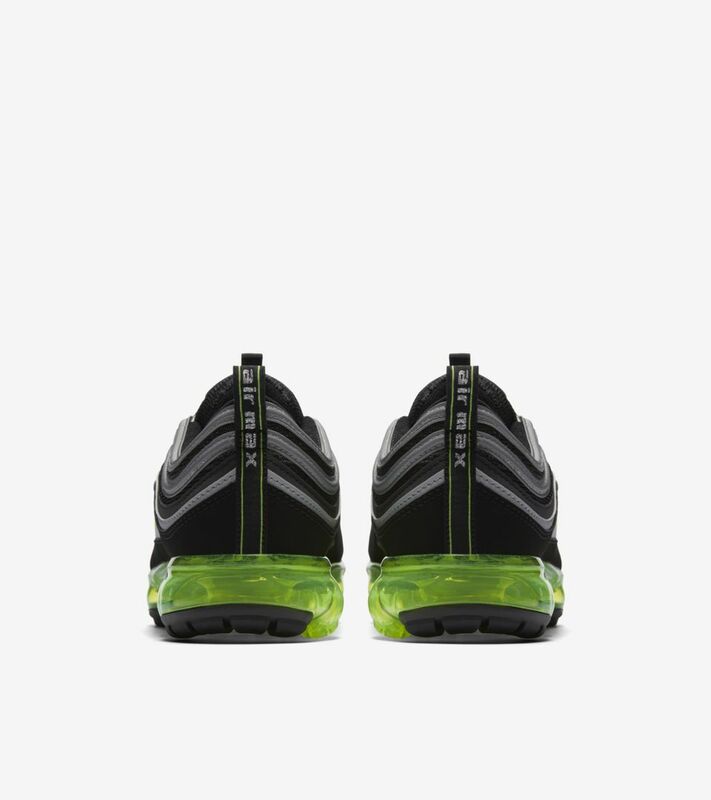 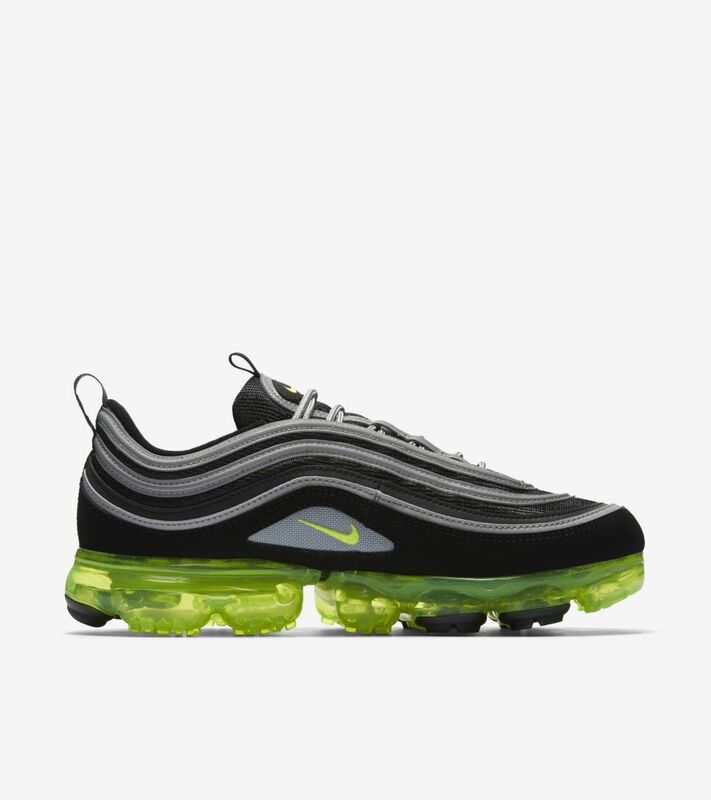 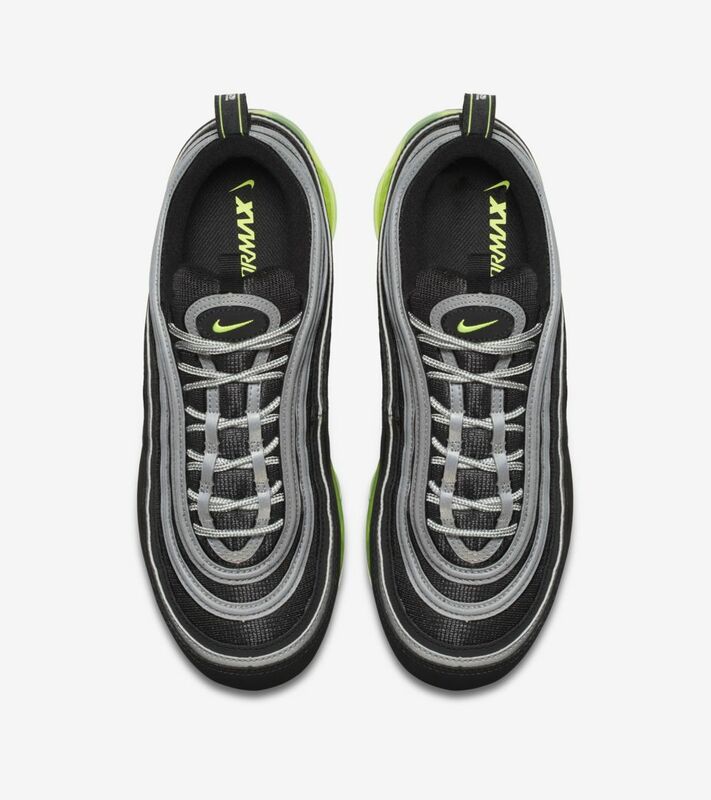 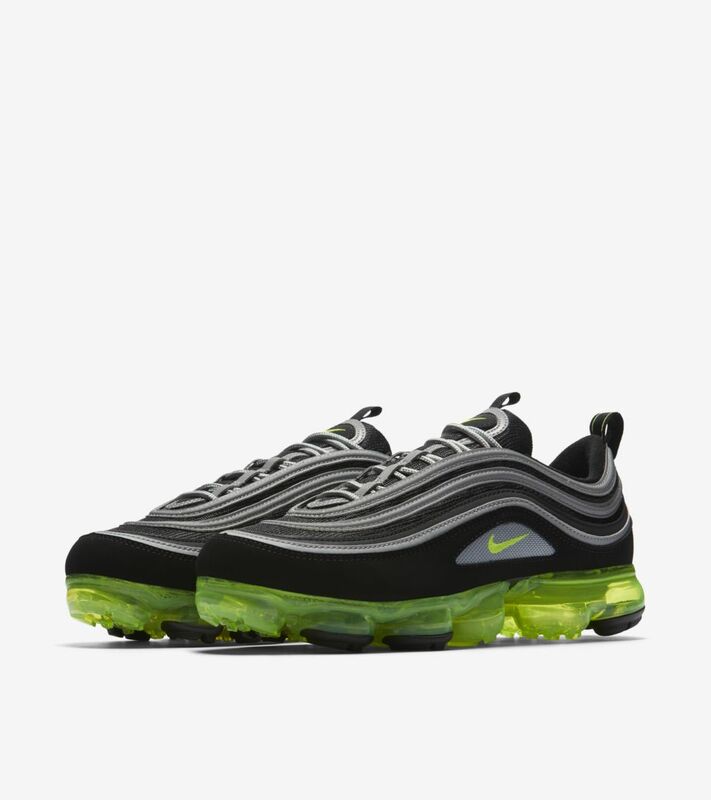 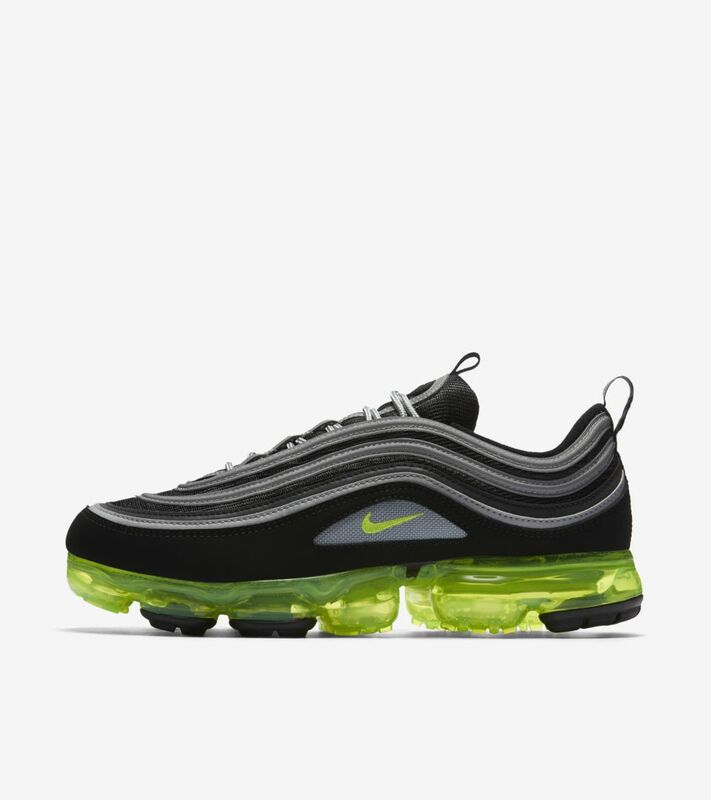 Featuring the same iconic, bullet-train-inspired lines, the Air Max 97 upper joins with the revolutionary, full-length Air-Sole unit of the Air VaporMax. 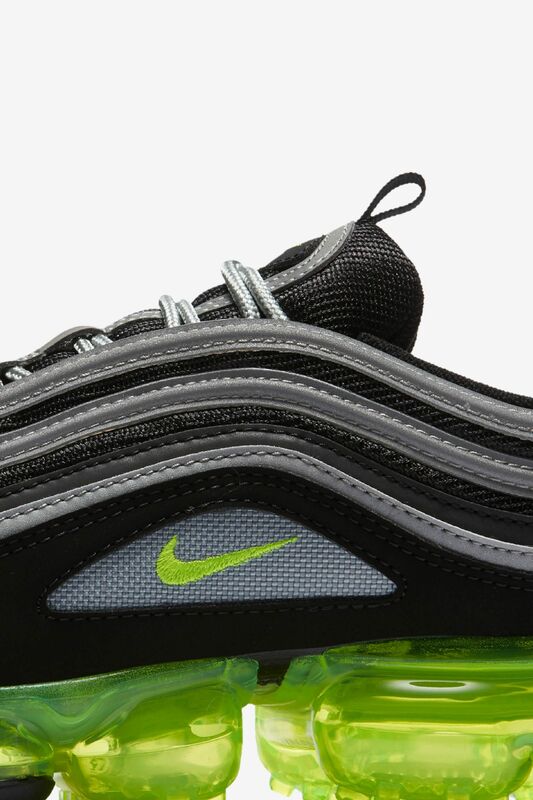 The result is an all-new combo that celebrates big Air while bordering on the surreal.